Everyday FREE SHIPPING on all orders! No minimum. This connector allows you to hook your Keurig brewer to a direct water source. This connector attaches to the Plumb Kit and the other end has a quick connect fitting to connect to a 1/4″ water line. 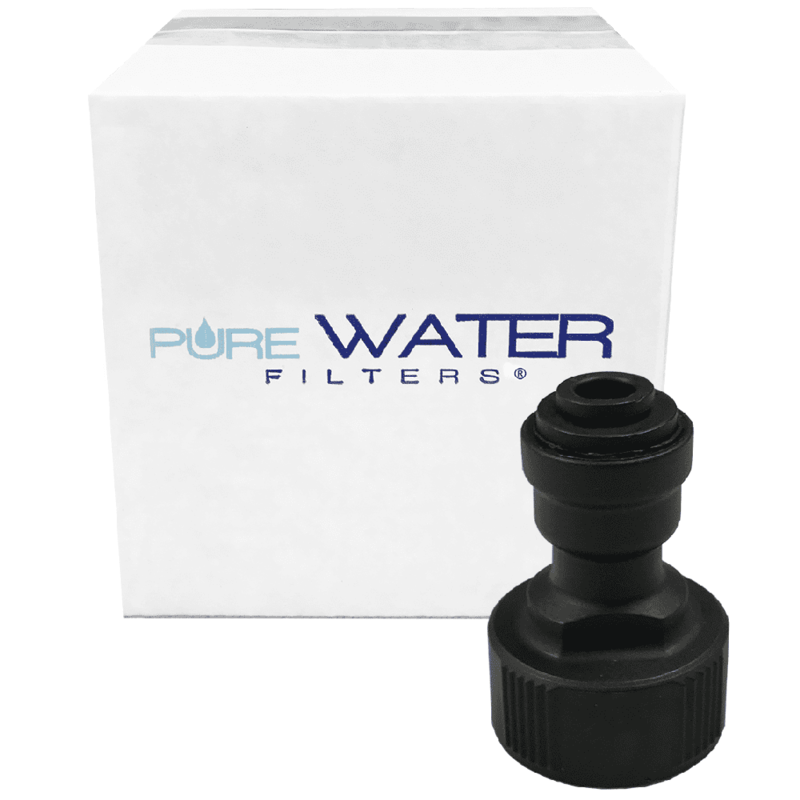 Helps direct the water line directly to an attachable filter (sold separately). Note: If you have a Keurig B150, K150 or B155, K155, you will need to purchase the Direct Water Line Plumb Kit in addition to this product. If you have a Keurig B150P, K150P, B155P, K155P, B200, B3000, B3000se, or K3000, K3000SE, and K4000 your brewer’s reservoir is already equipped with a Direct Water Line Plumb Kit, and you will only need to purchase this product. FREE Lifetime Telephone Support – Get help with installation, trouble-shooting tips, and answers to product related questions. Worked great. Made the direct water line hookup very simple. Installation was very easy and its great not having to fill the tank constantly. A word of advice however: I would recommend buying the additional 90 degree elbow – otherwise the water line comes straight out of the back of the machine and into the wall, and people are constantly pushing the machine to the wall, kinking the hose. © PureWater Filters. 2019 All rights reserved.